Kimberley joined LMR as an associate following her call to the bar in June 2018. After working at the firm as an articling student, Kimberley has joined the firm’s Family Law Group and Civil Litigation Group. Kimberley provides advice and representation on family law issues including custody, access, support and property equalization and will focus her litigation practice in the area of commercial litigation. Kimberley is a graduate of the University of Ottawa’s Programme de droit Canadian (Canadian Law Program), earning both her Juris Doctor and civil law degree. 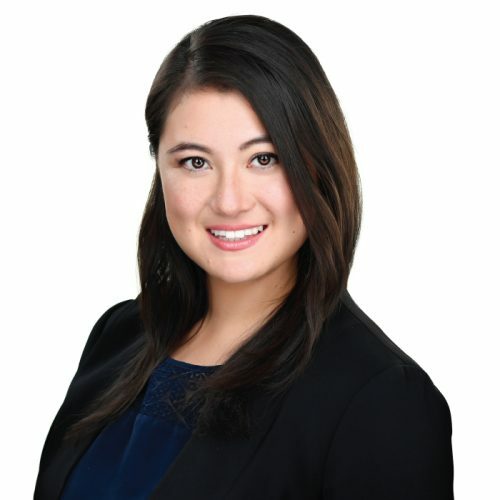 Prior to articling at LMR, Kimberley had 5 years’ experience working as a legal assistant and clerk at a boutique law firm giving her valuable experience in working with clients. Kimberley is a member of the Law Society of Ontario, the Canadian Bar Association, the County of Carleton Law Association, the Advocacy Club, and a general member of Collaborative Practice Ottawa. Kim is also a member of the Legal Aid Ontario Family Law panel and does accept certificates. Outside of the office, Kimberley is a piano teacher and Taekwondo instructor, holding her second degree black belt.